On an animal survey, four of us (3 volunteers and one tribal guide) were trekking in the Top Slip National Park three years ago. We had started early, around 5.30 a.m., just as dawn was starting to break with a slight greying of the sky. It was still quite dark as we enterred the scrub jungle on the outskirts of the forest proper. As we walked the sun rose and filled the atmosphere with a golden glow. it was a glorious way to begin our hike. Very early on there were indications that this was to be an exceptional morning. 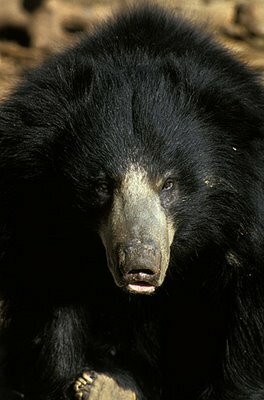 We had hardly started when we almost ran into a solitary, large, sloth bear (Melursus ursinus). He had been digging for juicy roots and the ground was littered with fresh piles of upturned earth. Around ten, we had covered 5 km of fairly easy walking when the distinctive smell of slightly decaying flesh brought us to a grinding halt. We cast around and finally located a fairly recently killed Sambhar Deer (Cervicus unicolor) hidden under a thorn thicket. Studying the ground, our guide (an excellent tracker) showed us where the deer had been ambushed and pointed out the rear hoofs digging deep into the earth where a tiger had landed on his haunches, where he fell, and how after a brief struggle on the ground he was dragged under the bushes where the tiger completed a meal of the shoulder portions. The deer was a large male and it would have taken a tiger in its prime to bring him down. Unfortunately we could get no very clear pug marks to help identify which of the 42 bengal tigers known to frequent that forest this one was. There was rising ground some 3 km off and as tigers prefer to go to a vantage point from which to sleep off a meal we thought (without any real hope) that we would give it a try. Soon we were toiling up a dry stream bed and seemingly going straight up. The surrounding scrub was too thick and thorny to break through. We were in single file with our guide in front. he kept exclaiming at this or that sign, shushing us and commanding that we walk quietly and I was sure that it was the usual hype - "Sir, the tiger definitely passed this way this morning..."
We stopped and bunched up when we came to a series of rocks that would have made a lively waterfall in the rainy season. Broad flat rocks that almost seemed to be a series of made-to-purpose steps. At the top there was one long step and three of us took that step almost simultaneously and FROZE. There, not ten feet from us, was a huge male tiger in repose. He jumped to his feet, tail slightly twitching and stared at us. We were well and truly horrified, I know I was holding my breath. Each of us carried a camera but that was completely forgotten. The tableau held for an instant or two and then - a reddish streak, he went vertical, springing effortlessly up fifteen feet onto a big boulder, another huge leap and he disappeared into the scrub. After a few still moments, we slowly, very slowly looked around and then, in silent excitement, cautiously came back down to the plain. Only when safely out of the deep scrub did we start jumping up and down in excitement and talked and talked about those fantastic, incredible few moments, and then we talked all the way back to the camp. I know people that have lived in these jungles for years and never seen a tiger! It was an incredible bit of luck - and a truly blessed few moments! I was in this same forest recently and traced out our tribal guide to see if he had seen any further signs of our handsome young man (estimated age then around 4 years, about ten feet from toe to tail) and the word was that he had been spotted, even bigger, in a completely different zone of the forest, a couple months earlier. Well, the Bengal Tiger is highly endangered. 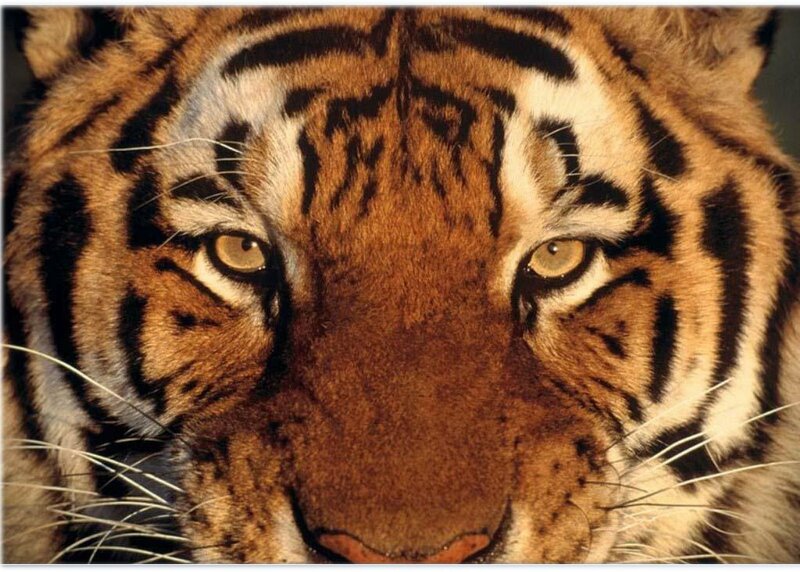 The census that year (2003, 3 years back) identified 42 tigers. Now the count is down to 36. The population is not sustaining itself and the major reason is poaching. A tiger skin is reported to fetch upwards of 400,000 Rupees (about 10 years wage) in the local market. Other parts of the tiger are also considered very valuable and if a tiger is 'judiciously disposed of', the total for the poacher will be a million Rupees or more. So, you will forgive me for not identifying our trekking route or the area of the forest any more clearly than I have. I have also deliberately not named my companions or our guide and they will understand.